Although many historical narratives often describe the eighteenth century as an unalloyed ‘Age of Reason’, Enlightenment thinkers continued to grapple with the challenges posed by the revival and spread of philosophical skepticism. 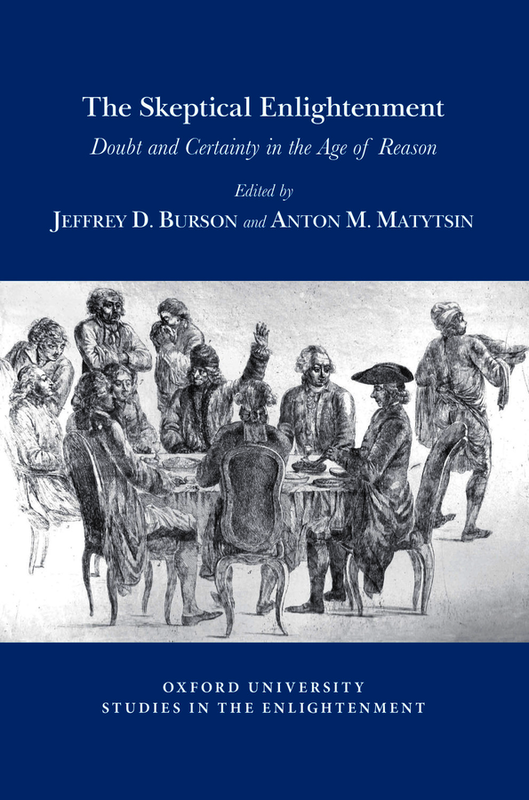 The imperative to overcome doubt and uncertainty informed some of the most innovative characteristics of eighteenth-century intellectual culture, including not only debates about epistemology and metaphysics but also matters of jurisprudence, theology, history, moral philosophy, and politics. Thinkers of this period debated about, established, and productively worked for progress within the parameters of the increasingly circumscribed boundaries of human reason. No longer considered innate and consistently perfect, reason instead became conceived as a faculty that was inherently fallible, limited by personal experiences, and in need of improvement throughout the course of any individual’s life. In its depiction of a complicated, variegated, and diverse Enlightenment culture, this volume examines the process by which philosophical skepticism was challenged and gradually tamed to bring about an anxious confidence in the powers of human understanding. The various contributions collectively demonstrate that philosophical skepticism, and not simply unshakable confidence in the powers of reason or the optimistic assumption about inevitable human improvement, was, in fact, the crucible of the Enlightenment process itself. Jeffrey D. Burson is Associate Professor of French History and the Enlightenment at Georgia Southern University. He is the author of 'The Rise and Fall of Theological Enlightenment: Jean-Martin de Prades and Ideological Polarization in Eighteenth-Century France' (University of Notre Dame Press, 2010), and 'The Culture of Enlightening and the Entangled Life of Abbé Claude Yvon' (University of Notre Dame Press, 2019), in addition to numerous articles and chapters in edited collections of essays. He is co-editor, with Ulrich L. Lehner, of 'Enlightenment and Catholicism in Europe: A Transnational History' (University of Notre Dame Press, 2014) and, with Jonathan Wright, of 'The Jesuit Suppression in Global Context: Causes, Events, and Consequences' (Cambridge University Press, 2015). Anton M. Matytsin is Assistant Professor of European History at Kenyon College. He is the author of 'The Specter of Skepticism in the Age of Enlightenment' (Johns Hopkins University Press, 2016) and co-editor, with Dan Edelstein, of 'Let There Be Enlightenment: The Religious and Mystical Sources of Rationality' (Johns Hopkins University Press, 2018).